But this morning, when my alarm went off at 5, I reset it for 6. At 6, I hit snooze. Then I hit snooze again. Next thing I know, it’s 7:00 and Mark’s just about walking out the door. Since I work from home, it’s OK because I have the shortest commute ever, and I don’t even have to get dressed if I don’t want to. But now I’m going to go through the day feeling bad that I didn’t go to the gym this morning. I need cold meds so I can breathe, and I am pretty sore today. We did a bunch of jumping yesterday and I’m pretty sure that’s why. I went back to the gym later in the afternoon for a quick cycle ride. I needed to move after sitting all day! 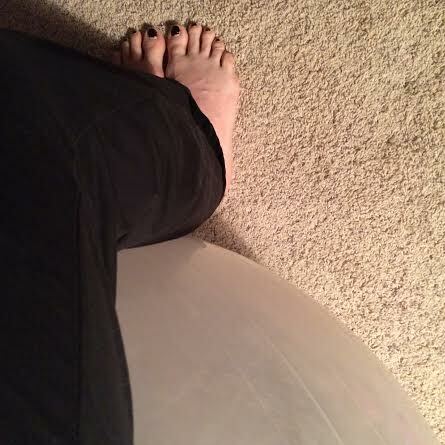 I will be doing a full hour this evening on the elliptical likely. No lifting today for me. Boo. 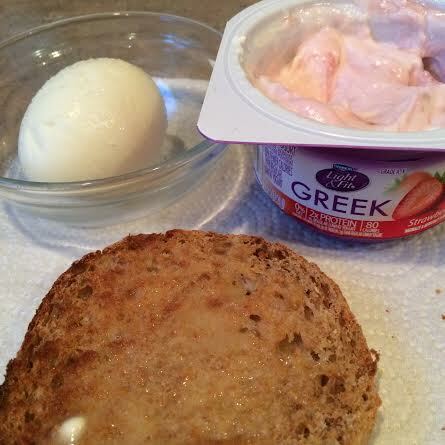 Breakfast: 1 egg, greek yogurt and an English muffin.